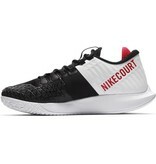 The Nike Court Air Zoom Zero(black, white, bright crimson) men's tennis shoe features Nike's best cushioning and comfort. 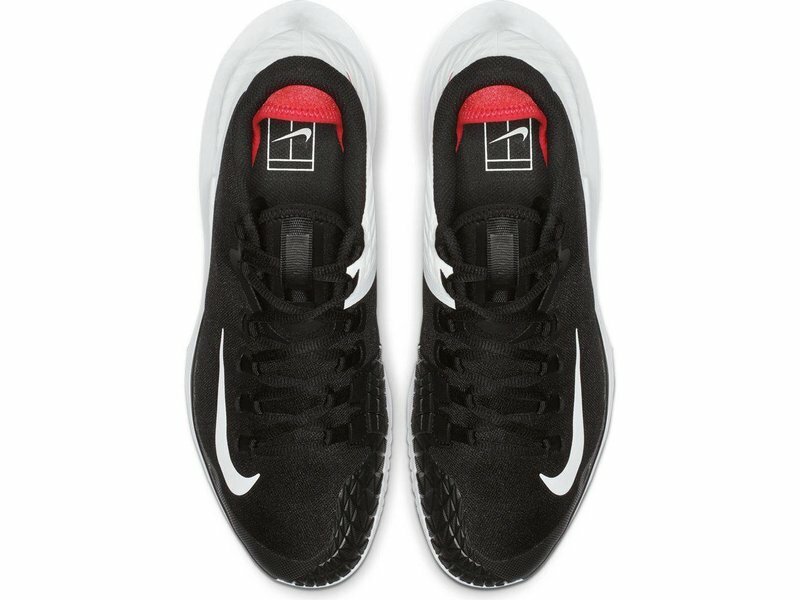 Engineered for comfort on the court. 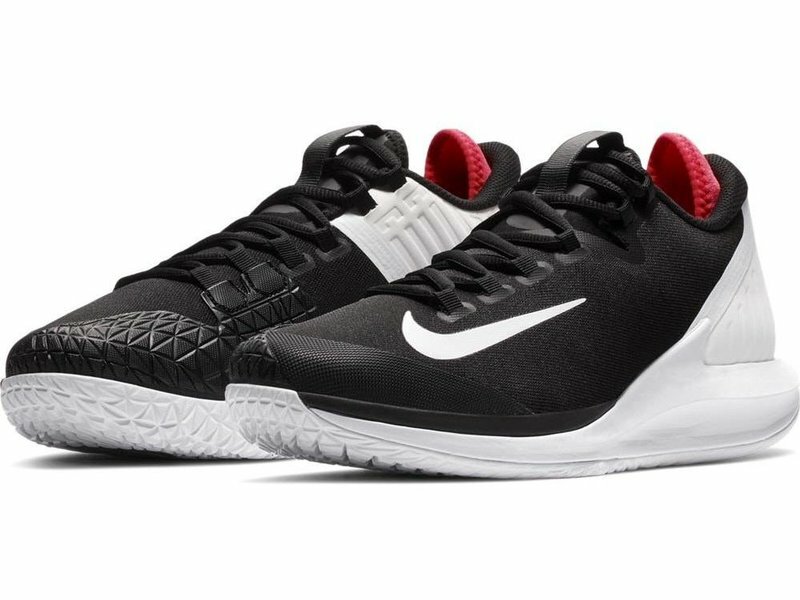 The men's NikeCourt Air Zoom Zero shoes in black, white and bright crimson are comfortable and come with responsive cushioning. 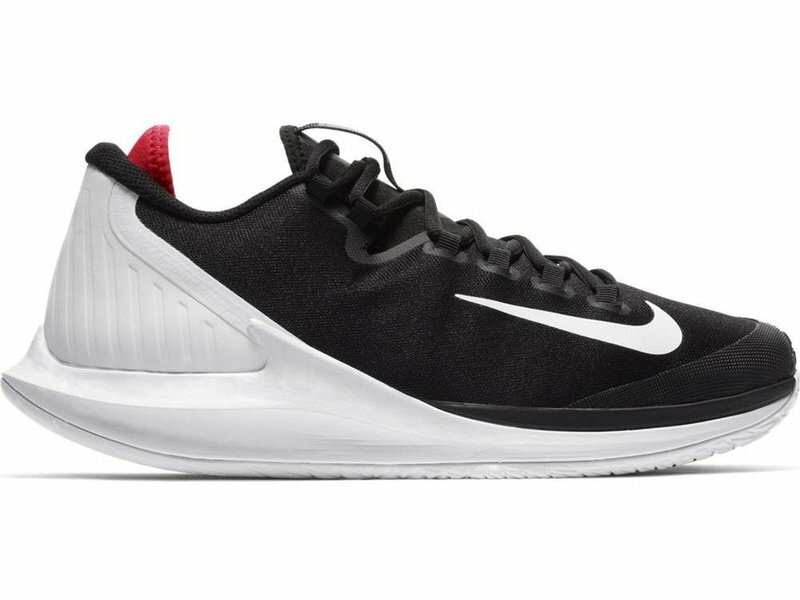 The Zoom Zero is Nike's first shoe to feature a full-length Zoom Air unit in the midsole for maximum comfort and shock absorption. 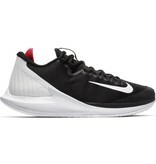 The Zoom Air unit is curved/angled to ensure proper foot mechanics on the court. 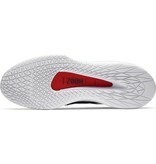 The sole's curved design encourages fluid, forward motion on every step. 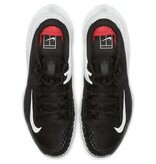 Lifted toe and heel tips give you smooth heel-to-toe transitioning, more so than any other tennis shoe on the market. 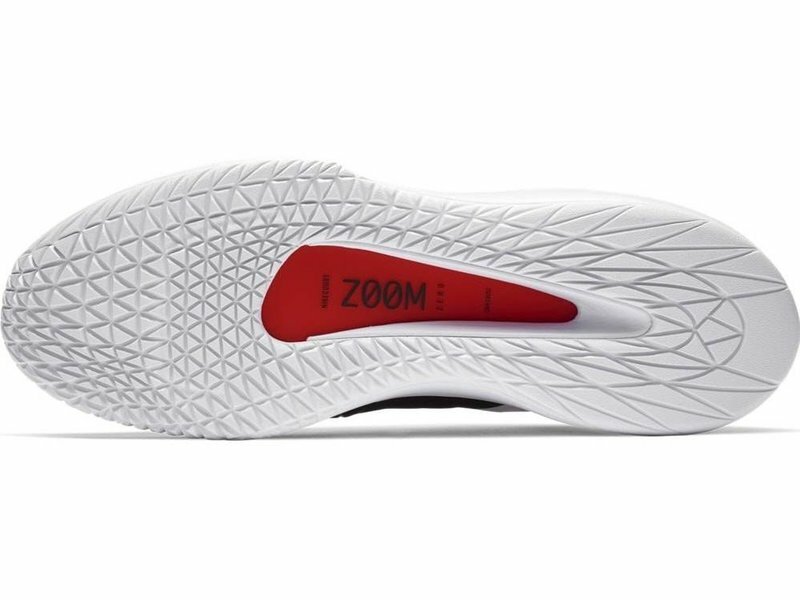 The Zoom Zero's upper is a smooth, tightly woven synthetic for maximum durability and comfort. 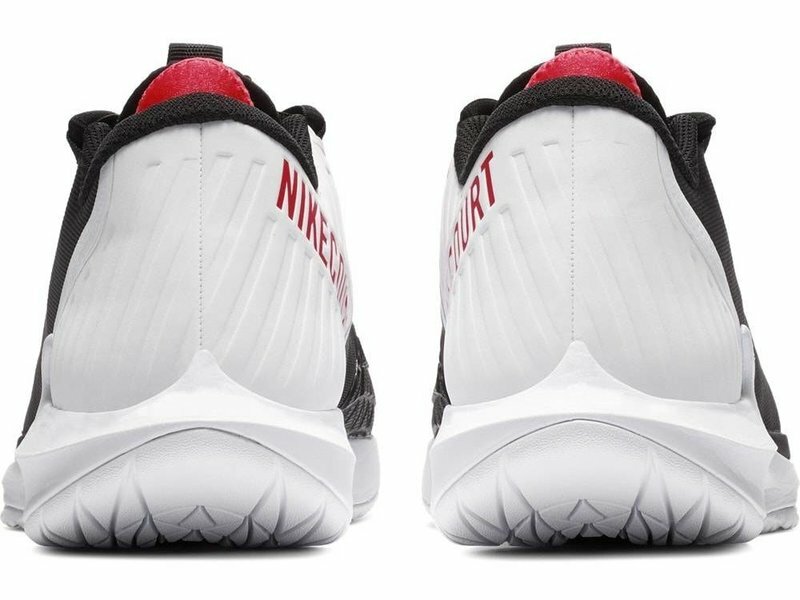 The breathable and comfortable full-bootie construction gives you a snug and secure, glove-like fit. 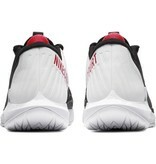 Gilly straps and laces lock your foot down for a secure fit. 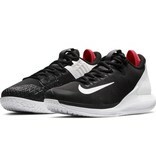 Zoom Zero's also come with a dual-layered toe guard for enhanced durability on slides and serves. 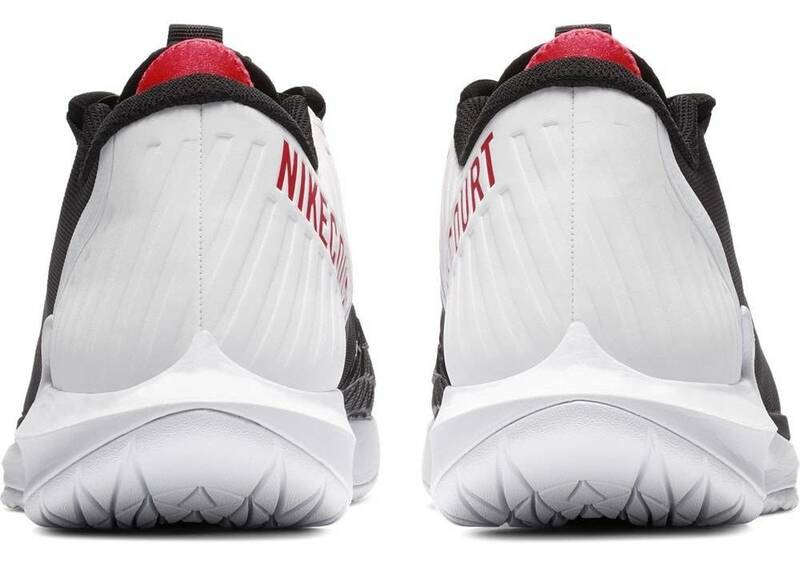 The low profile outsole comes engineered for durability and longevity. 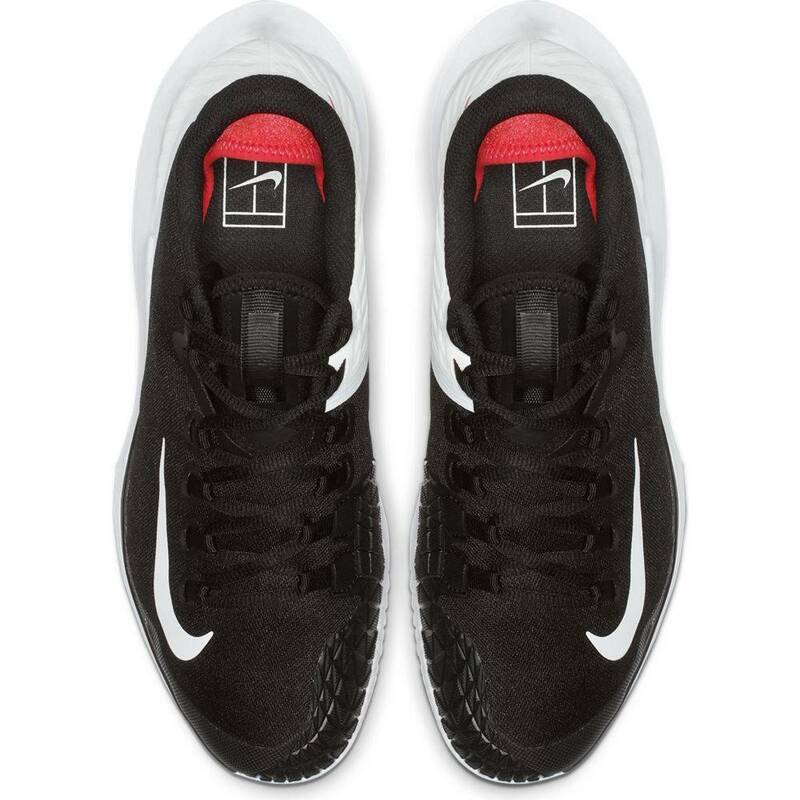 The Zoom Zero is a tight-fitting, comfortable, lightweight and responsive shoe. 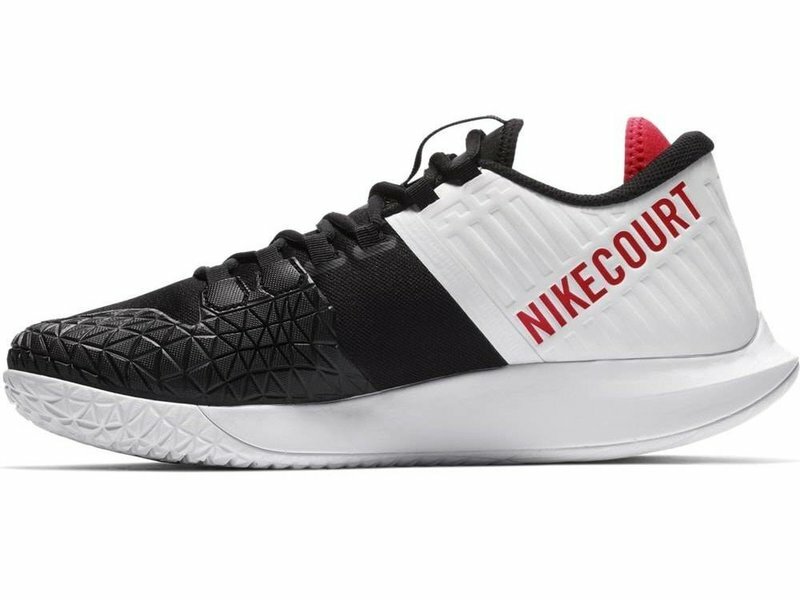 With a sleek and modern look, this shoe is an excellent shoe for anyone interested in receiving the benefits of Nike's latest tennis shoe technologies.